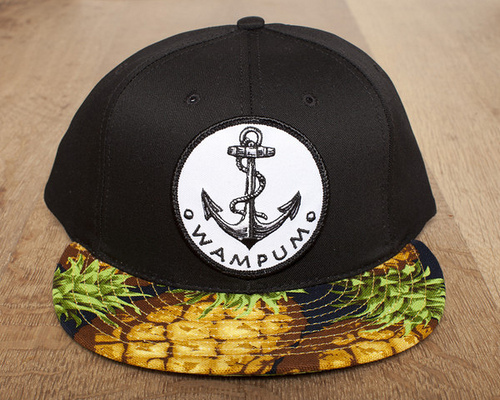 Wampum, a lifestyle clothing brand and skate shop with locations in Bridgehampton and Nolita, is set to open a Coney Island pop-up on May 24. The location is 1232 Surf Avenue in Thor Equities new building. The space is on Stillwell Avenue across the street from Nathan’s. “We just finalized the deal,” Wampum’s Lennon Ficalora told ATZ. Lennon, 26, and his brother Marley, 24, opened their first shop two years ago and were looking to expand to another seaside location. Coney Island was familiar from trips to the Siren Festival. “We got a good deal,” says Lennon of the 2,500 square foot raw space, which they have leased from Thor through Labor Day. “We’re doing a minimal build-out.” Their neighbor in the still vacant new building will be candy retailer It’Sugar, a Miami-based chain also expected to open on Memorial Day Weekend. The Ficalora brothers grew up skateboarding in Montauk, where their family runs the Breakers Motel. According to Wampum’s website, Lennon and Marley’s two shops are located next to their mother Helen Ficalora’s jewelry stores and her success as a jewelry designer was influential in their decision to open the Wampum stores. “The Wampum brand embodies the whole lifestyle that comes with skateboarding,” said Lennon, who was the first local kid ever invited to compete in the Van’s Warp Tour National Skateboarding Competition. Surf Avenue is set to get an influx of national chains and franchises–Applebee’s, Johnny Rockets, Red Mango, Checkers, It’Sugar. The upscale Wampum is the first small business to lease space in Thor Equities new building at Surf and Stillwell. Why aren’t there more? Back in December, a press release from Thor Equities offered potential good news for retailers and restaurateurs who wanted to get a foot in the door of the new Coney Island: “Thor To Add Local Flavor To Coney Island By Leasing Major Surf Avenue Parcels To Local Brooklyn Merchants At Reduced Rents For 2013.” Thor was said to be teaming up with the Brooklyn Chamber of Commerce to help recruit tenants. The idea was to fully lease Joe Sitt’s new building at Surf and Stillwell for the summer of 2013. May we suggest a contest to attract a Brooklyn start-up with the winner receiving a highly publicized rent-free season in one of Joe Sitt’s remaining storefronts? Amusements in “Use Group A” such as arcades, games of chance or skill, fortune tellers, freak shows, wax museums and other midway attractions should also be given a percentage of space in the building as required by the City’s zoning in Coney Island. The Fascination Arcade, Shoot Out the Star and “Baloon Raceing” were among the old school amusements in the Henderson Building until it was demolished by Thor and replaced by the new building. Update: This Wampum location is closed. Gentrification doesn’t go here! Bring back Faber’s! It’s a shame that Thor Equities didn’t save and repurpose the Faber’s Fascination sign as the Dursts did with the “Peep-O-Rama” sign from 42nd Street’s last peep show. Sitt is required by the zoning to put an arcade or other amusements in his shiny new Surf Ave building though he’d rather tout “The Retail Ride of a Lifetime.” It’s also arguable that the gentrification of Coney Island began with Zamperla’s razing of Shoot the Freak and redo of the Boardwalk stores.